I never really use eye cream before (¬､¬). I always think eye cream isn't really important and I can substitute it with other cream/serum I had. XD But since I was 25 on last May, I started to think I need an Eye Cream!! I can see thin fine lines on my eyes and that was freak me out (」゜ロ゜)」, lol. I know not all people use Eye cream and think Eye cream isn't really important. I was like that too... hahahahahahh. Eye cream is a specially formulated moisturizer for use on eye area. Not all moisturizer can use on our eye area because our eyes skin is different and more sensitive. 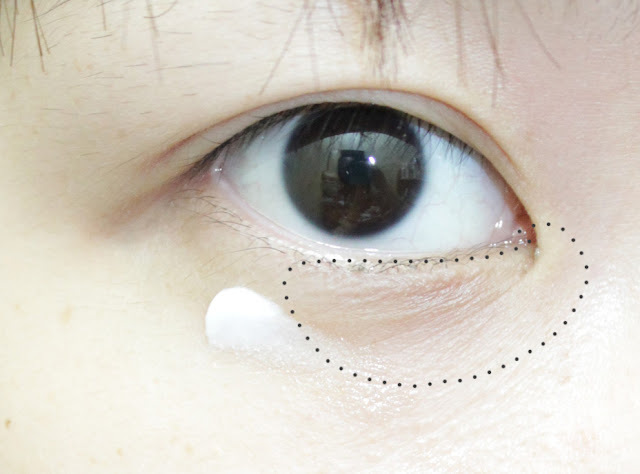 Usually, eye cream is already tested to be safe to use on our eyes area. Lioele C.A.D Cell Eye Cream contains Nuper-Cell, Olive extract, Vitamin E and Pearl Powder to reduce dark circles and fine lines. And prevent wrinkles too. Nuper-Cell is an active ingredients in this eye cream. Firms skin gently, makes a younger and healthy looking eyes. C.A.D stands for Cell Alive Delivery system. Nuper-cell is patented formula extracted from 3 types of different plants to boost the production of EGF (Epidermal growth factor) in skin for younger and brighter skin. The creamy texture of this eye cream is quickly absorb into my skin. 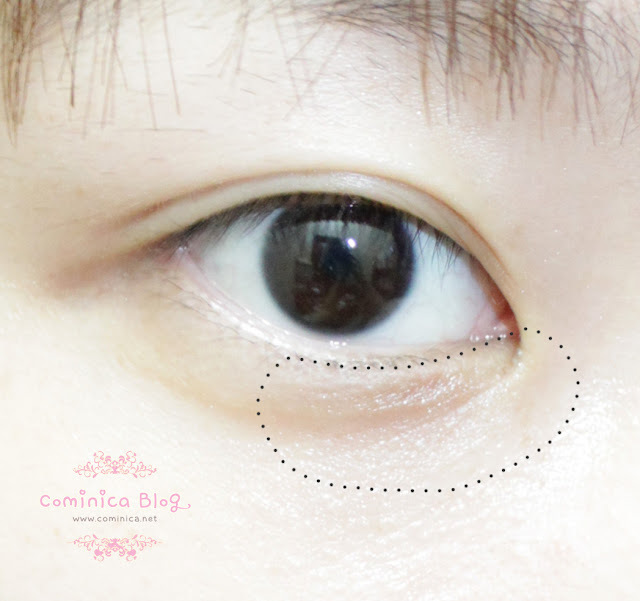 My eyes skin area is sensitive and tender, so it need a moisturizing eye cream which not feel greasy when applied. After applied into skin, it looks a bit shiny because of the pearl powder. The pearl powder is good for brightening function. After applied, it looks moisturized and brighter. My fine lines is look smoother too because of the cream. (rightclick+newtab). I use this eye cream 3 times a day, hahahahahha! Just like my skin care, I never forget to use my eye cream now. It already become a part of my daily skin care. This eye cream is suit my sensitive skin, so if you have sensitive skin too maybe you can try this eye cream. 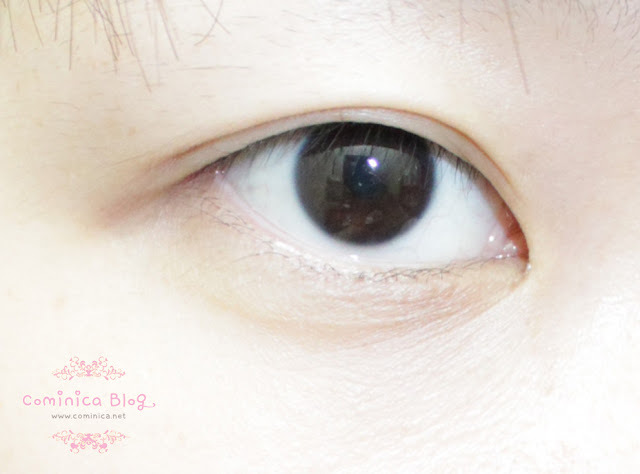 If you have a recommendation eye cream, please don't hesitate to let me know~! o(≧∇≦)o Thanks for reading Ladies and have a nice day~! I have a eyecream from Yves Saint Laurent, it's called 'Temps Majeur Eye Cream' , i would recommed this one! thanks for this len... i had been lookin for an eyecream...my always tired and aging eyes badly need it. I really ought to use eye cream too :C boo! wow 3 times a day? o.O I use eye cream only on my night skincare routine.. ._. I never thought of eye cream as important right now either...but maybe I should start to prevent wrinkles right from the beginning...? XD Between which steps do you use eye cream in your skincare routine? I am obsessed with eye creams because I rub my eyes a lot so I have quite a few fine lines under my eyes. My favourite one is the Strivectin eye cream but it is so pricey. I think this Lioele one looks really good. I must put this on my "things to buy" list. 3x a day. xD You take really good care of your skin! I find that eye creams can noticeably helps the color and baggy wrinkles after a stressful night ^^ but i always forget to apply XD anyway, thanks for the review! Oooh~ This is so nice! I love Lioele products. I haven't been able to find an eye cream that will work for me. Maybe I should give this a try? I've been great, thank you for coming over to my blog! How are you? injured, find one who will take your case on a contingency basis.